A glimpse of Allen Center’s $48.5 million renovation project is here. On Oct. 6, Brookfield Property Partners unveiled an acre of outdoor lawn space that can accommodate roughly 1,500 visitors at Allen Center. 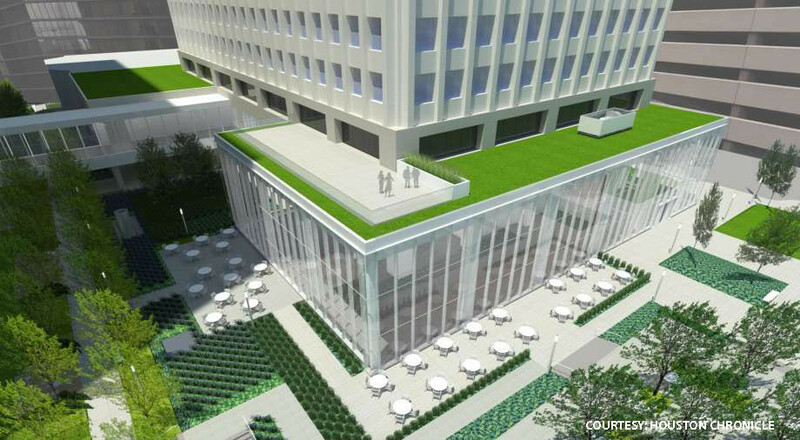 The space was dubbed “The Acre” and replaced the courtyard that previously sat between One, Two and Three Allen Center. Click through the slideshow to see a first look at One Allen Center’s renovations. One Allen Center’s new entryway was also revealed. The building’s updated entry lobby is now housed in three glass walls and an art installation Brookfield commissioned from the Japanese artist Tokujin Yoshioka. One Allen Center’s sleek, modern lobby has been referred to as the project’s “glass box,” a reference to the three glass walls that house the two-story lobby. It’s also been called the symbolic front door to Allen Center.